A tremendous opportunity is emerging in the PCB manufacturing industry whereby artificial intelligence (AI) can be utilized to streamline production processes and improve production outcomes in ways never before achievable. Arguably a market disruptor, the introduction of AI into PCB manufacturing is especially important as the market moves toward Industry 4.0 – or the “Smart Factory” – in which automation systems communicate and cooperate with each other and with humans in real-time, decentralizing the decision-making processes and offering numerous benefits. For AI implementations in the PCB domain to be successful, however, a rich combination of deep expertise in both PCB manufacturing and AI fundamentals is required – and this is where Orbotech comes in. AI describes a machine or software that mimics human cognitive functions, such as problem solving and learning. Many important innovations are becoming subsets of AI, including machine learning and deep learning. Machine learning is a type of AI that uses various algorithmic techniques to enable computers to improve the performance of a task using data, but without being explicitly programmed to do so. In PCB manufacturing, machine learning enables a host of benefits including improved operations, reduced scrap rates, optimized fab operations, reduction of “non-sophisticated labor,” and the more efficient management of assets, inventory and the supply chain. All of these relevant features are the very definition of Industry 4.0. Deep learning is an even more complex form of AI in which computers very effectively learn sophisticated representations of insights, patterns and context in data, all of which can be applied to process improvements in manufacturing. Deep learning utilizes multi-faceted, multi-layer artificial neural networks, which mimic the human brain’s ability to learn, understand and extrapolate. AI is exceedingly complex, requiring deep expertise in the technology itself, and in the industry domain in which the AI is to be used. As experts in both PCB manufacturing and AI, Orbotech is currently developing AI solutions for Industry 4.0 in PCB manufacturing. To successfully implement an AI solution, process expertise must be matched by tight operational integration. An extensive and lengthy training phase is needed to build an AI system within the complex manufacturing environment. These training processes are very operationally demanding and require massive computational and human orchestration for optimal performance. Combined with Orbotech’s AI expertise, this ensures that Orbotech is able to optimize this critical training phase for AI’s neural network framework development. In each variant of AI described above, access to data is a key component of success and efficacy. AI cannot be successful without very high-quality, labeled data. In PCB manufacturing, for example, defect classification is a crucial aspect of an automated optical inspection (AOI) solution. An Orbotech AOI machine sends images of potentially defective PCBs to a remote multi-image verification (RMIV) station where a human operator views the images and then classifies them as “True Defects” or “False Alarms.” A human operator is expensive, however, and can easily make mistakes in classification. An AI solution for defect classification would make these decisions autonomously and with consistent accuracy once it has learned from many thousands of decisions made by human operators. Such an AI system is dependent on accurate data patterns to learn correct algorithmic behavior over time. The input data – the examples of manually classified defects – must be verified and classified carefully to realize the benefits of AI. Even the smallest of changes in the data may lead to game-changing results from the AI system. While quality data is essential for the success of AI, strong collaboration between each customer and its artificial intelligence solution provider, will also be crucial for long-term success. The complexities of AI demand that the solution provider apply its knowledge of PCB manufacturing processes and AI to guide customers in the implementation of AI solutions. 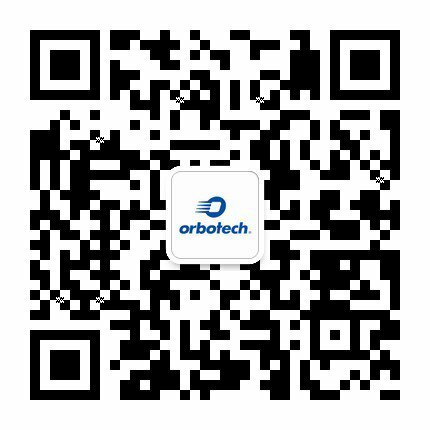 For example, when classifying defects, Orbotech and its customers will collaborate to codify insights behind each human operator's classification evaluation results, and brainstorm together to create a meaningful system that prioritizes which PCB characteristics are the most important to detect. It is this level of customer collaboration and engagement that will yield the best results for an AI engine. Given the significant benefits AI will inevitably provide to PCB manufacturers, Orbotech continues to engage heavily in R&D to perfect the integration of AI into Orbotech Smart Factory – the company’s Industry 4.0 solution – as well as its other solutions. In doing so, Orbotech is evaluating the many ways in which AI can be applied to manufacturing in general, learning through testing, and is helping to drive the industry towards smarter, more robust manufacturing processes that will help boost yields and reduce operational costs. Author: Dima Pundik, Algorithm Group Manager, Orbotech Ltd.